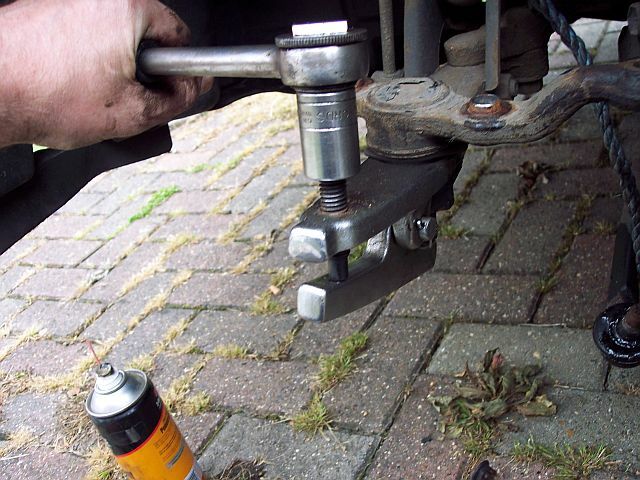 The usual workshop disclaimers apply, if you are not sure or don't have the tools don't do the job, this is a vital component on your car. If not done correctly the front wheel could just plain come off. 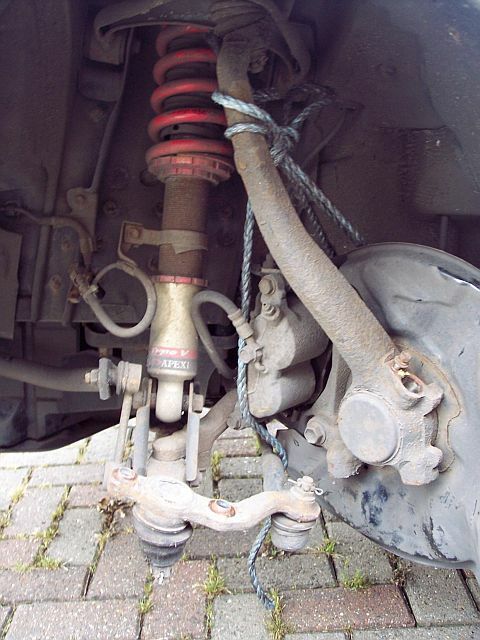 Seems to be a common problem with our cars so I thought I would post this to give a guide. 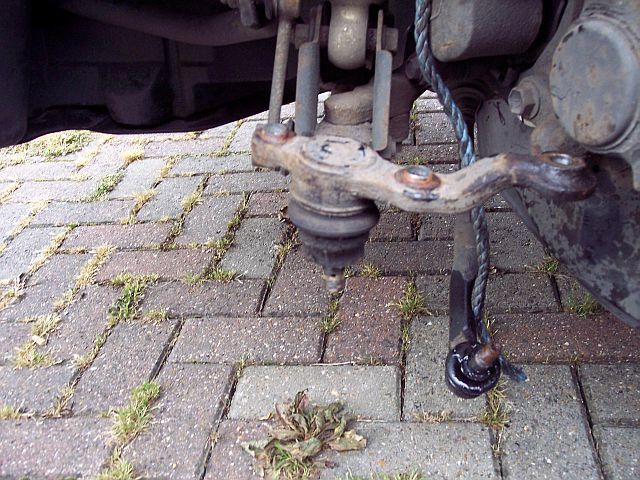 First apply the handbrake, "crack" the wheel nuts on the side you are doing and then jack the car up and support on an axle stand. 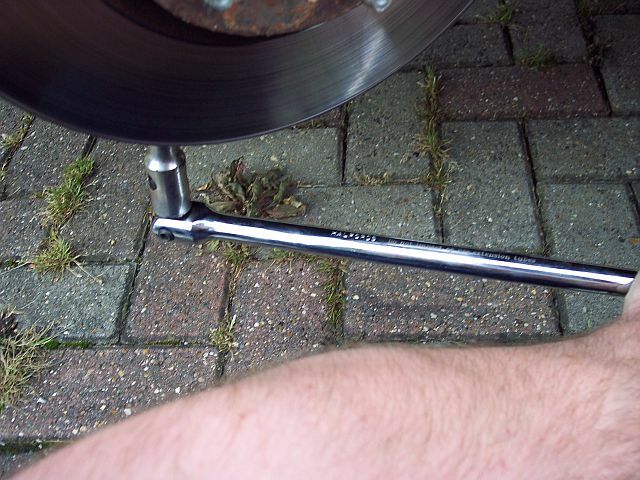 Use the wheel "chock" (fold-able wedge thing from the toolkit) under the opposite rear wheel. 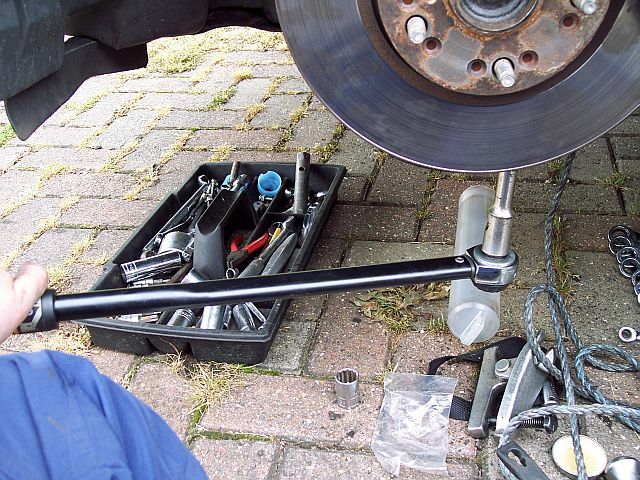 Jack up the opposite side front so that the tyre is just clear of the ground (This allows you to turn the steering freely if the steering lock is off). Remove the wheel. 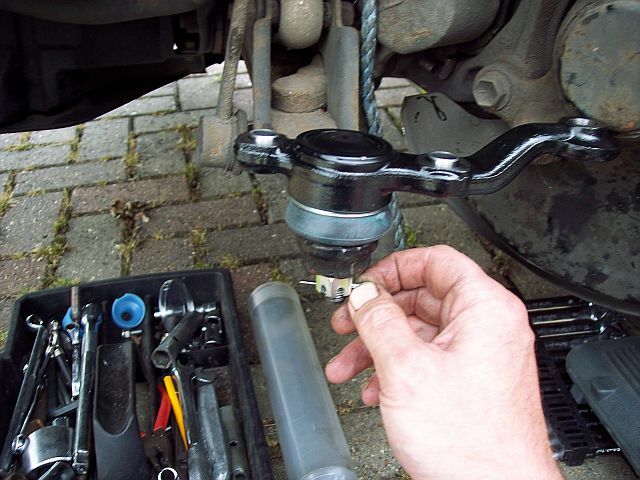 Step 1 - With the steering lock off move the wheel to full lock with the front of the wheel outside the arch and remove the ABS sensor. 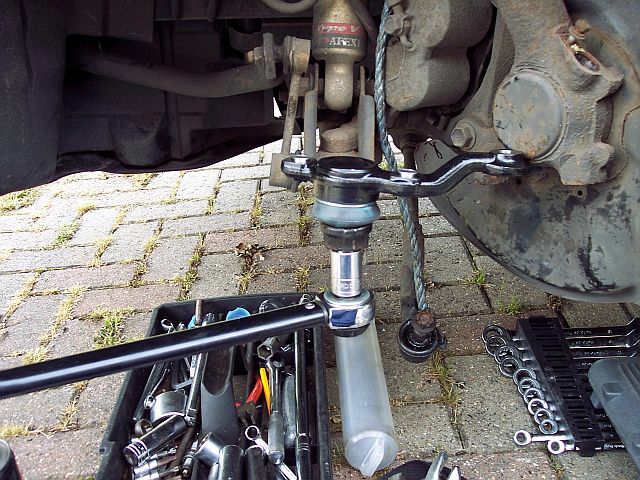 It can be a pig to get out as the grease makes a seal, just rotate and work at it and it will come out, tuck it away at behind the ABS sensor cable at the front of the suspension strut. 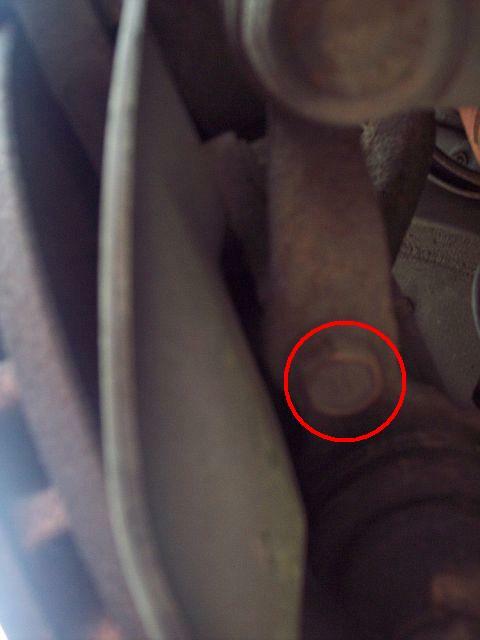 Once removed I put the bolt back in so as not to lose it! 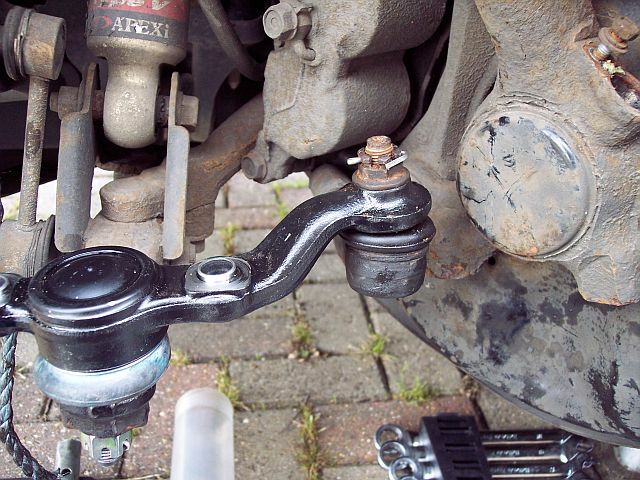 Next centre the steering and engage the steering lock, locate the 2 bolts underneath that hold the hub assembly to the ball joint/steering arm this is the one at the rear and there is a similar one to the front of the pivot. 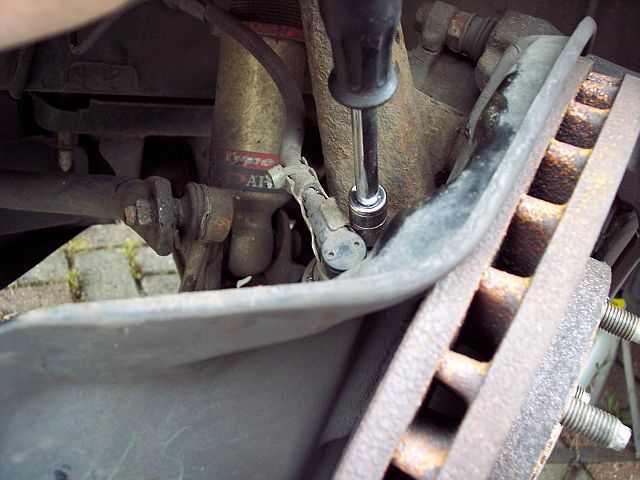 Use a long "breaker bar" to crack the bolts. 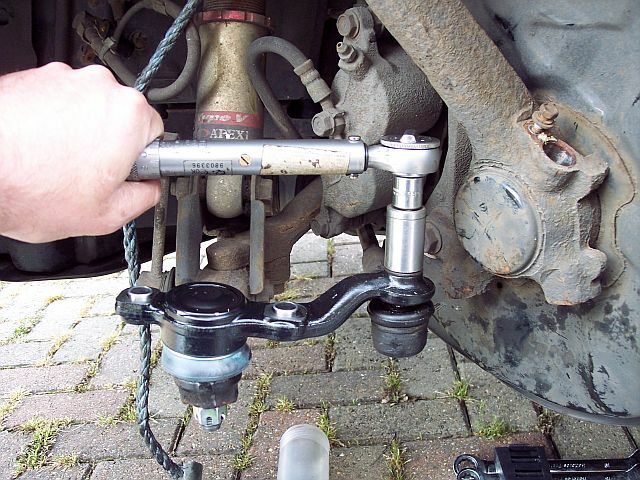 Use a ball joint splitter to remove the track rod end. It will probably go with a loud bang so be be prepared, it will be noisy but not damaging. 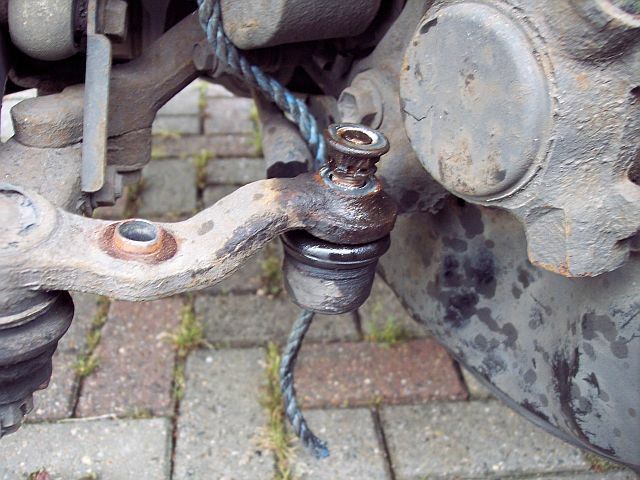 Remove the split pin from the ball joint main nut. 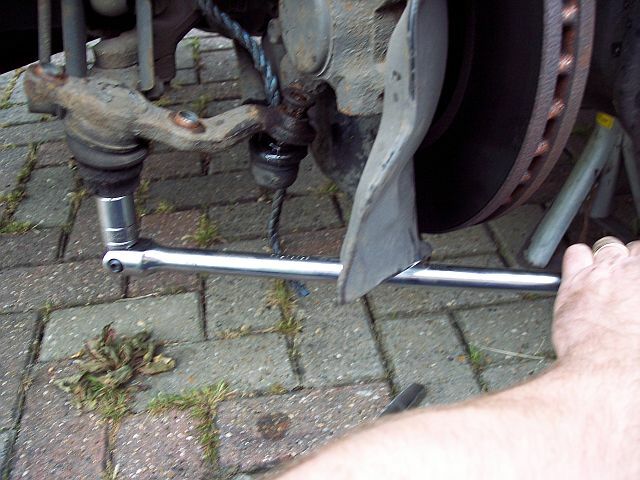 Use that long breaker bar to crack the nut..
Then remove the nut and the track rod. 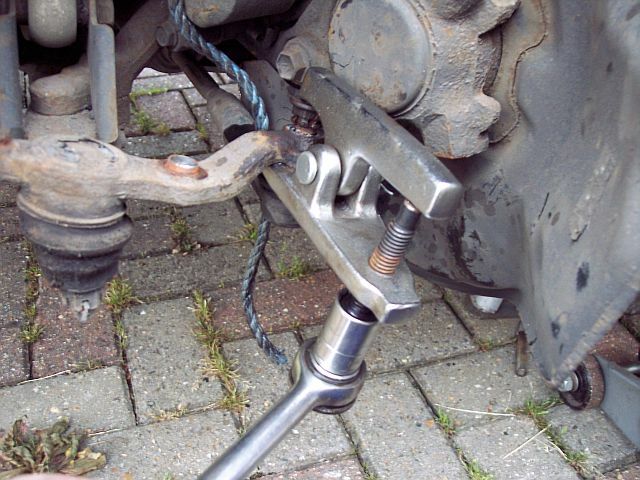 Ball joint splitter comes into play again, you may need to hammer the "fork" to get it in place. Looks easy but I had to use a good fashioned fork and hammer to get this one out. If the split pin won't go through tighten or loosen the nut the least amount possible until you can get a new split pin through the hole. I always prefer to go tighter if it is 50/50 on the nearest slot. 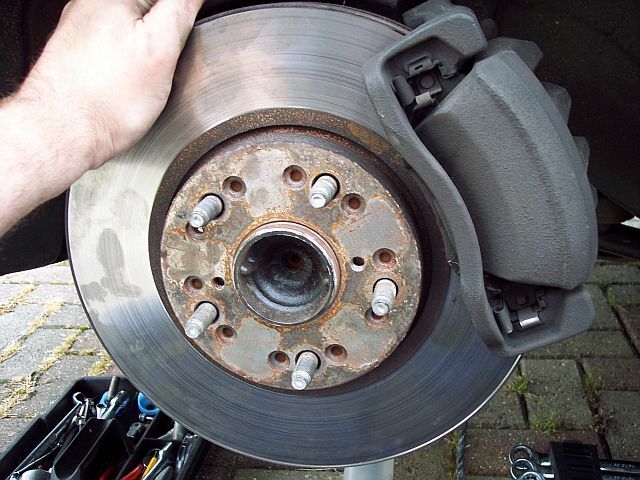 Replace the ABS sensor and the wheel nipping up the wheel nuts, drop the car back to the ground and torque the wheel nuts to 105Nm in a "diagonal" pattern.